Pineapples are the well-known fruit which is widely found and consumed all over the world. Tropical fruit pineapples are consumed in a raw or in a form of juice. Pineapples are a great source and high in vitamins, antioxidants, and enzymes. Consuming pineapples have much health benefits such as strengthen bones, helps in digestion and improve the immune system. As we all love the sweetness of pineapples but many of us are unknown about pineapples contain low calories. Bone strength: Pineapples includes Vitamin C and other antioxidants which are involved in collagen synthesis. Also, pineapples come up with manganese, it is very helpful for bone regeneration and development of the bone. 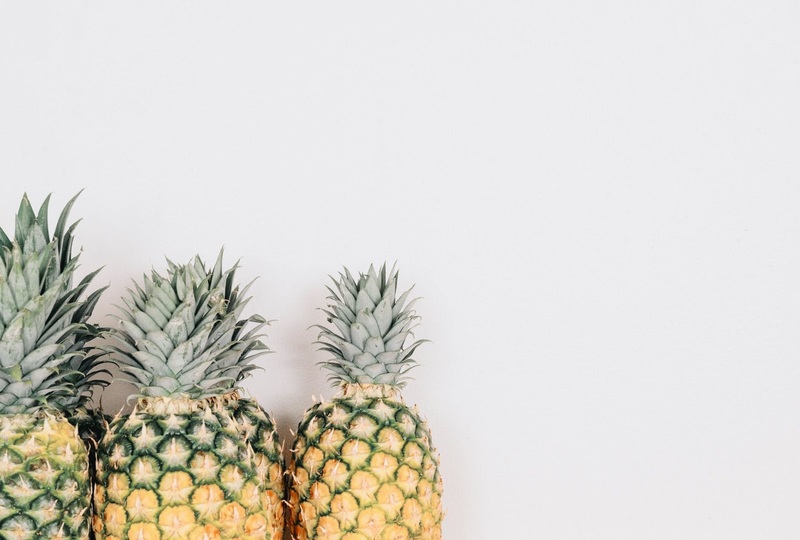 Pineapples importance are very high because of an ample amount of manganese found in it are compared to be the perfect replacement for milk or meat. Healthy Carbs: Pineapples are the fruit that contains three types of carbohydrates which provide benefits to the body. These three carbohydrates are essential in the body for chemical reactions. Looking at the carbohydrates in pineapples then one single cup on it has nearly 21.7 grams. So it suggests that consuming pineapples is the right way to get necessary carbohydrates. Digestion: Pineapples improves digestion because of the bromelain enzyme which it contains. It also makes easier in the digestion process by breaking down the protein particles within it. Other benefits include neutralizing fluids. This bromelain enzyme also controls the secretions in the pancreas to help digestion. Therefore tasty pineapples are the one of the right fruit for your digestion. 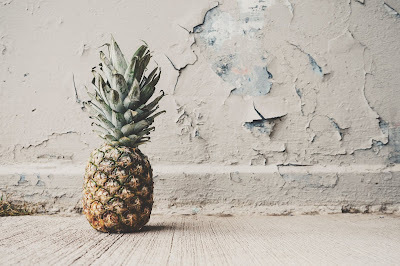 Improves Immunity: Immune system support: After all pineapples are the source of bromelain, and it plays a significant defender role in any external viruses damaging your body. So consuming pineapples daily makes you much healthier. You can have pineapples in the fresh tropical cocktail which provides you better taste as well as help your body. Menstrual Disorders: A lot of women suffer from different menstrual disorders. It can be crippling( physically and mentally ). Pineapples which have bromelain are believed to supply relief from painful menstrual cramps as well as other menstrual symptoms. Macular degeneration: It is a kind of disease occurred by the retina damage. By this, there happens vision loss in adults. It is suggested that taking pineapples can reduce the risk of this disease by 36% because of beta-carotene which is found in pineapples. Eye Health: Pineapples are the fruits that enhances your eye health, so consuming pineapples helps in eye health. As a study has shown that consuming pineapples can make your eyesight better. And it helps in macular degeneration if you eat it on a daily basis.